They did a terrible thing. They've returned to make it right. The price will be high. Chaos is sweeping the islands of Wefrivain–slave revolts, attacks on temples, and questions about the true nature of the wyvern gods. 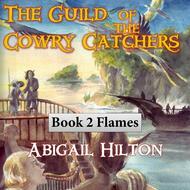 The catalyst is a single book called The Guild of the Cowry Catchers. The authors are a band of pirates. Gerard and his friends are not content to merely spread unrest. They're determined to free the fauns of Maijha Minor, who are scheduled to be sold or slaughtered. This is a situation that Gerard, Silveo, and Gwain created, and they want to make it right. However, things are not as they seem on the deadly island game park. 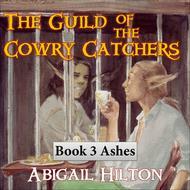 Priestess Morchella is pulling strings, and the fauns may want their own brand of revenge. Gerard lost everything last time he stepped onto Maijha Minor. If he's not careful, the same could happen again. 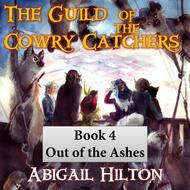 The Guild of the Cowry Catchers is a fullcast audio experience, featuring the voices of Nathan Lowell, Norm Sherman, Chris Lester, Kim Fortuner, Renee Chambliss, J. Daniel Sawyer, Big Anklevich, Rish Outfield, Nobilis Reed, James Durhamand, many more. 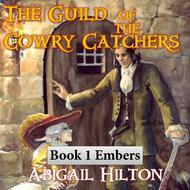 We will send The Guild of the Cowry Catchers, Book 5: Shores Beyond the World to your Kindle at . 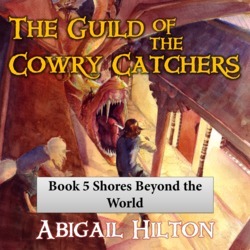 The Guild of the Cowry Catchers, Book 5: Shores Beyond the World has been sent successfully to your Kindle!